Some play to win, and some play for the legacy and their name being etched into history forever. Then there are those who manage to be able to do both — those people are held to another level of respect and recognition. 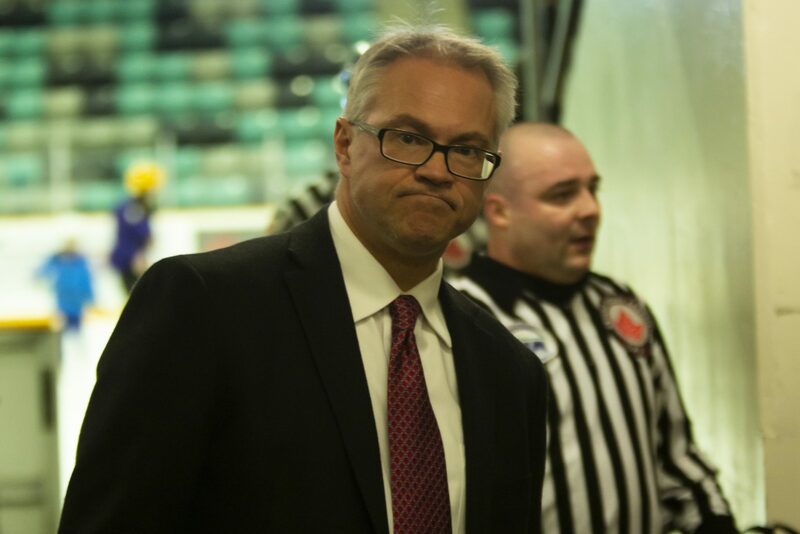 Enter Greg Puhalski, the Wilfrid Laurier Golden Hawks men’s hockey coach who was recently inducted into the Toledo Hockey Hall of Fame. “I think as far as my experience in Toledo, it was definitely a capper on my career, my seven years in Toledo. Winning championships is why I played the game to start with and I was able to be a part of some teams in Toledo to do that and whenever you do it, it’s something that part of your history for the rest of your life and it’s a great memory to have,” Puhalski said. It began with a four-year career as a part of Laurier’s men’s hockey team from 1987 to 1991, where he became the all-time leading scorer with 88 goals and 134 assists. Following his career at Laurier, Puhalski went on to play for the Toledo Storm from 1991 to 1994 in the ECHL. With all the success he’s had along the way, there comes an understanding as to what it takes to succeed which also carries into what he is able to teach his players in his experience as a coach at Laurier over the last nine years. In that time, he was able to win back to back championships in 1993 and 1994, to go along with scoring 225 points in 122 games in his time there. As a coach, he was the bench boss for the Fort Wayne Komets from 2000 to 2006. In 2003, Puhalski led the Komets to the United Hockey League’s Colonial Cup and also ranks second in franchise wins with 271, behind Al Sims’ 437. Ironically, his induction into the Toledo Hockey Hall of Fame at the ECHL All-Star Classic is a matchup between Toledo and Fort Wayne. “You feel proud of your accomplishments and you recognize that with any of those accomplishments, you have to have good people you’re working alongside and recognize, they’re just as important as anyone else in helping you. You can’t do things alone. I think that’s a great thing about team sports,” Puhalski stated. “You got to have guys who want to win, want to compete, want to win championships, are willing to sacrifice to get it done and that’s by no means an easy accomplishment but it takes a lot of sacrifice on everyone’s part to make it happen,” Puhalski concluded.